← Lenner Ann McCurdy M.Ed. 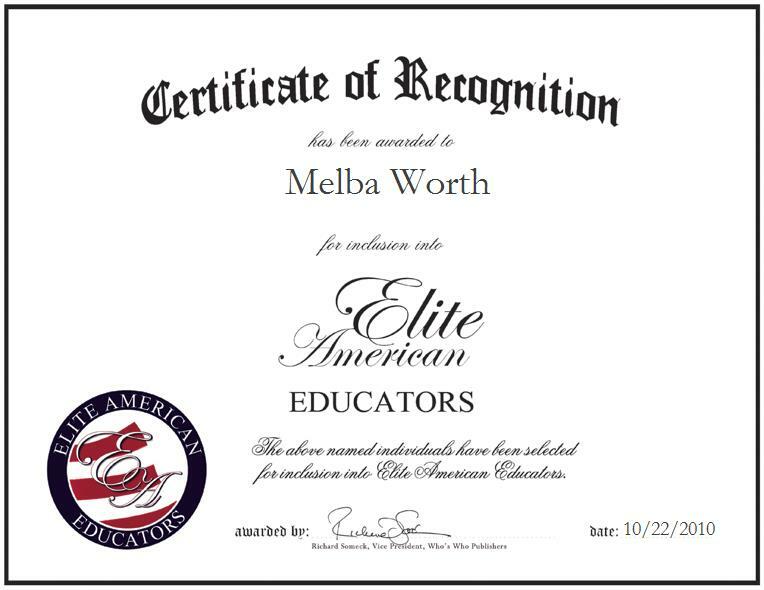 Clackamas, Oregon | October 22, 2010 | Melba Worth, retired Technical Documentation Editor for Portland Public Schools, has been recognized by Elite American Educators for showing dedication, leadership and excellence in all aspects of education. With 10 years of professional experience, Ms. Worth specializes in editing and creating technical documents, serving the assistant superintendent, overseeing administrative functions of the entire office, answering phone calls, scheduling, fixing appointments, ordering and creating a program to fill students’ and parents’ needs. She created a documentation on how to use new computer programs for payroll and human resources systems. In addition, she has taught private clarinet and flute lessons. Ms. Worth attributes her success to the continued support of her husband and children. Always the devoted instructor, Ms. Worth’s greatest professional accomplishment was when she ran a program granting college credit to high school seniors that mirrored the classes offered at local colleges and universities. 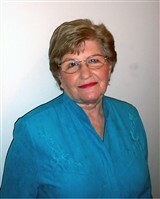 Ms. Worth received her Master’s Degree in Educational Administration in 1978 and her Bachelor of Science in Music Education in 1956, from Portland State University. She is a member of the Oregon PTA and The Delta Kappa Gamma Society International and is the former regional vice president of the National Parent-Teacher Association.